When you look outside of your home, do you see a backyard oasis, or do you see mounds of dead and fallen leaves? One of the frustrating parts of owning a home is keeping up will all the leaves that your trees and plants release each fall. Trees, flower planters, shrubs and bushes, and many other common household plant types are notorious for shedding large amounts of leaves. Unfortunately, they usually end up covering your lawn, landscape, driveway and everything else on your property. Whether you or the wind have been piling them up or your yard is covered in them, we are here for you. 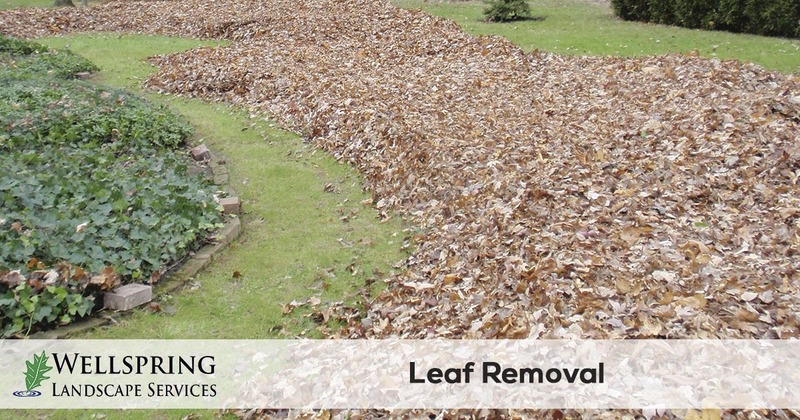 Wellspring Landscape Services is the convenient choice for leaf removal for your home or business. Our leaf removal and clean-up teams make quick work of even the tallest piles of leaves. Whether you piled them up on the curb or have given up on trying to control them, call us, and we’ll take care of it all. It’s common to become caught off guard when it comes to the autumn falling leaves. It feels as if you wake up one morning and your yard stands covered in them. Unfortunately, it isn’t always convenient to clean them all up yourself. Trying to rake them all up could take hours, and it’ll make a mess out of your hands. Instead, we do the hard work for you with our leaf removal specialists. In no time at all, your leaves are gone, leaving behind only your best-looking lawn. Ignoring mounds of leaves is not a good idea, because pests, animals, and birds love to make nests in the leaves, and the more supplies that are available, the more neighbors you’ll have. And as leaves remain on the cold, wet ground, they’ll soon grow mold and mildew spores. Before long, your lawn will become a little mold factory! Before your leaves wind up making a mess of your home’s outdoor areas, call the team who gets rid of them all. We recommend calling us after Halloween, Thanksgiving, and on the start of the New Year for the best leaf removal. Many homeowners believe that they can tackle their leaf problem themselves. However, most home rakes aren’t enough. As leaves lie on the ground, they become too brittle for rake teeth to catch. The result is breaking them up into tiny pieces, making a bigger mess to clean! Instead, we carefully remove them using specialized mulching and bagging equipment, removing them all in a matter of minutes. You’ll be amazed at how quick our process is! If you're done playing in the leaves or just tired of seeing them in the yard and flowerbeds, give Wellspring Landscape Services a call today. We provide professional leaf removal services in Austin, Bee Cave, Lakewood, Rollingwood, and the Westlake Texas area. 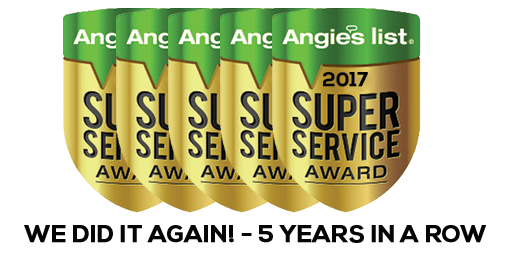 You can request a free quote online or give us a call at 512-653-7700.